San Francisco Official© Hop On Hop Off bus tour. San Francisco Double Decker Bus Tour, with live commentary. Hop On Hop Off for 24 hours in San Francisco, including Chinatown, North Beach, Fisherman's Wharf, Union Square, Financial District and more. HopOn & HopOff the open-top bus at your own pace. A visit to San Francisco just wouldn't be complete without a ride aboard a San Francisco double decker bus. The Downtown Tour shows you all of the highlights of the city. 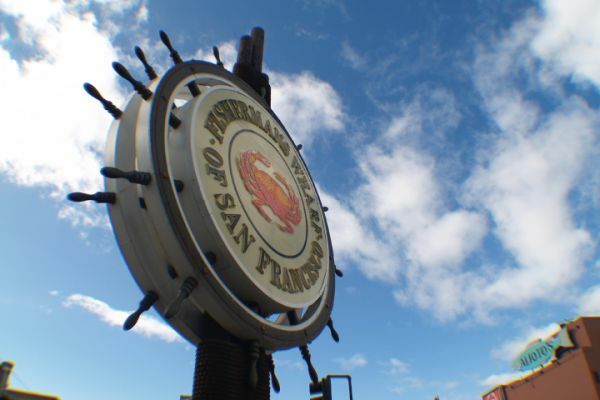 Enjoy an entirely live narrated 60 minute tour of San Francisco's most famous sites on this San Francisco double decker bus tour. The tour includes unlimited use for 24 hours so you can hop on and hop off the bus at any of the designated stops during the tour to browse, shop, & take pictures. Explore the highlights of Downtown at your own pace and simply hop on the next bus when you are ready to go to the next location. Buses arrive at each stop approximately every hour. 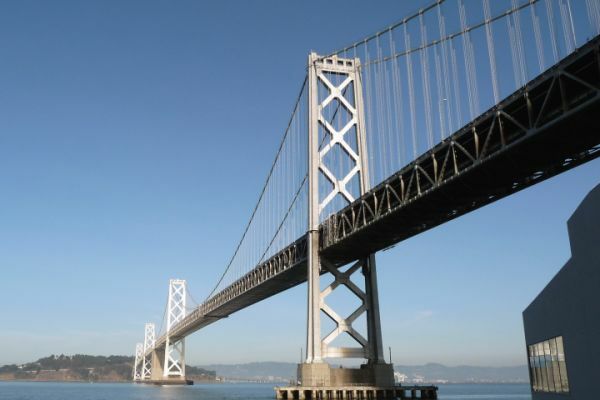 Book this San Francisco bus tour today! 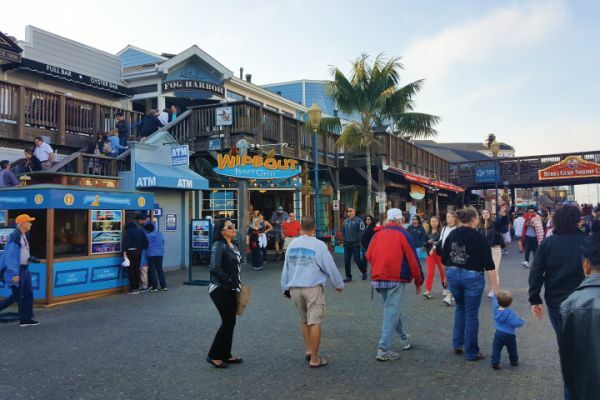 Fisherman's Wharf – Located on the northern waterfront, this area is best known for Pier 39 (shopping, restaurants, sea lions and much more), San Francisco Maritime National Historical Park, the Cannery Shopping Center, Ghirardelli Square, and many other attractions. 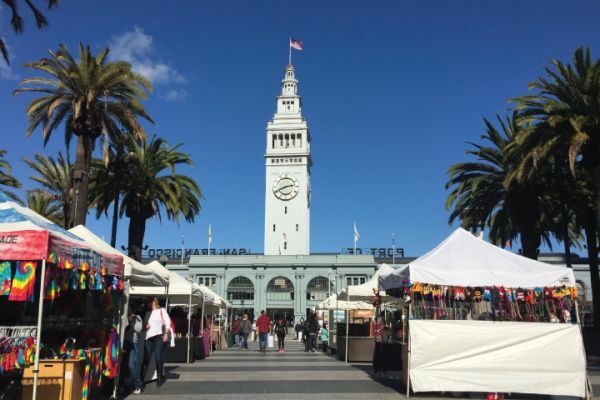 Ferry Building - Here, a Farmers Market is held twice each week and offers produce and flowers from small regional farmers and ranchers, many of whom are certified organic. A wealth of other products include regional artisan specialties such as breads, cheeses and jams. Union Square - The central shopping district in San Francisco, featuring Macy's, Tiffany's, Neiman Marcus, Victoria's Secret, Saks Fifth Avenue, and hundreds of other major retailers. Chinatown - The dragon gate on Grant Avenue at Bush Street (installed in 1969) is a gift from the government of the Republic of China (Taiwan). 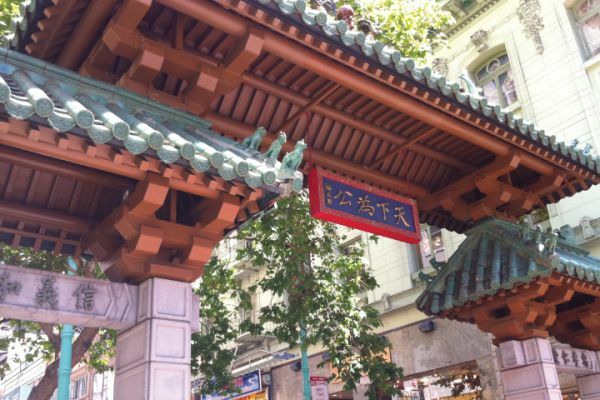 San Francisco's Chinatown is the largest outside Asia and is a great area to spend a few hours walking around. North Beach - This is a primarily Italian neighborhood, with dozens of authentic Italian restaurants and cafes. It is also conveniently located in the northeast part of San Francisco, adjacent to Chinatown, Fisherman's Wharf, Telegraph Hill (Coit Tower) and Russian Hill (Lombard Street).